If you worried that you may have partied and drank a little too much back in college, there's finally a job where you can use that to your advantage. First, you'll need to move to Germany. Apparently, some regions in the country employ what they call the "Wine Queen," and it's been an official job and title since 1931. These regions elect a Wine Queen, who then competes for the title of Wine Queen of Germany. The Queen answers oral questions about wine, guiding confused tourists through a winery while speaking English, and then attend a gala where they tackle on-the-spot questions about wine-making. The winner, of course, becomes the Wine Queen of all Wine Queens. And it's most definitely an honor (no sarcasm). The Wine Queen of Germany is more than just a title. According to Wikipedia, she acts as a representative of the German wine industry; the job includes advertising German wine at trade fairs, festivals and events. She also acts as the ambassador of German wine-growers in both Germany and abroad. Her rule lasts for a full year. For more than a century, a Wine Queen has always been a local woman. But this year, in the Moselle River town in the region of Kesten that boasts 25 wineries, its 350 residents decided to do something different. 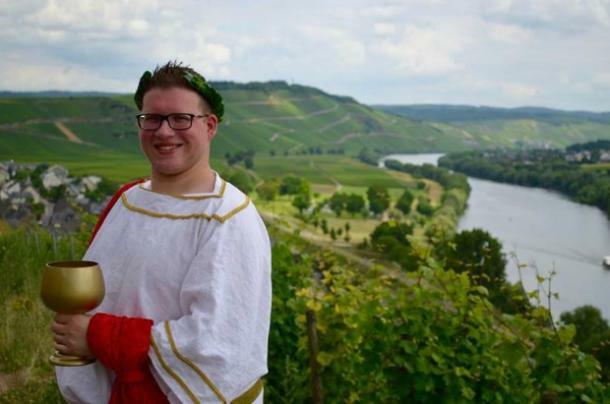 They elected 24-year-old law student Sven Finke as Wine Queen. No, not "King," but Queen. In an interview with NBC News, Finke said that he had offered himself as a joke. "After the present wine queen already added a third year to her duties because they could not find a successor, I jokingly said that I would take the wine queen job," he said. Little did he know that the town would take his words seriously, and he became the first male representative of the Moselle region. They crowned him as "Bacchus Castanidi," a nod to the Roman God of wine, harvest, and ecstasy. 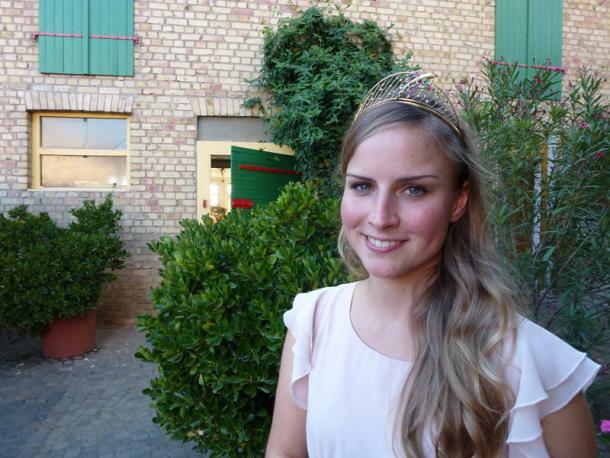 May your reign be prosperous, Wine Queen Sven Finke!